Workers at the General Motors Oshawa, Ontario plant staged another temporary sit down strike inside the plant Wednesday morning. WINDSOR, Ont. 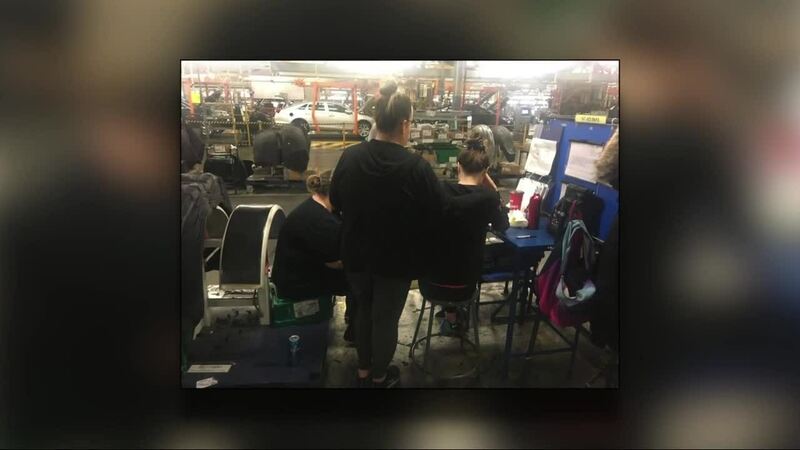 (WXYZ) — Workers at the General Motors Oshawa, Ontario plant staged another temporary sit down strike inside the plant Wednesday morning. Workers on the evening shift Tuesday night also stopped working, causing the assembly line to stop. 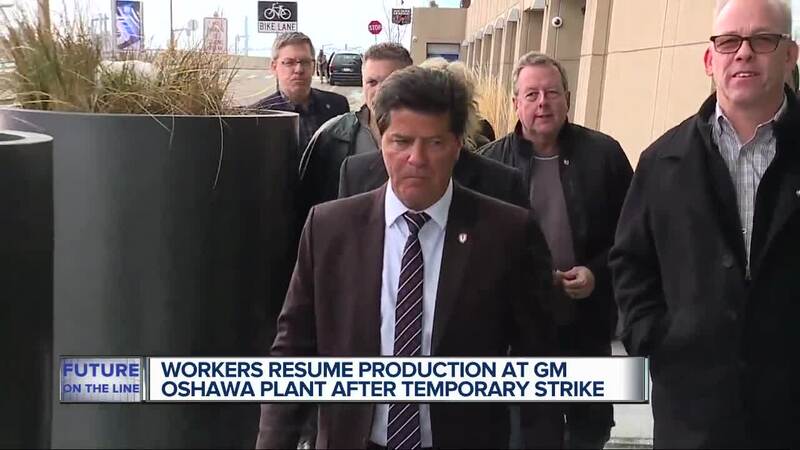 The workers are reacting to their National Unifor Union President Jerry Dias attempting to get GM executives to reconsider their plan to shut down that plant by the end of this year. Dias met with GM executives in December and again Tuesday at the GM headquarters in the Renaissance Center and then announced the company is not changing its plans. Dias says GM is "greedy" by moving more jobs to Mexico where workers are paid as little as $2 an hour. GM has said keeping Oshawa open would increase their costs and make them less competitive. "We understand our union’s frustration but need to now work together to deliver supports, transition and training for our employees for new opportunities over the coming year." The closing would affect 2,500 hourly and 500 salaried employees at that plant. GM has been in Oshawa for 109 years. In November, GM announced it would close 5 plants this year, 4 in the US and this one in Canada. One of the plants is the Detroit Hamtramck Poletown plant set to close in July. That would affect 1,500 workers. In November, the same Oshawa GM workers staged a one day wildcat strike walking out of the plant. The Unifor Union has been aggressively campaigning against the plant closing since then, including TV ads currently running in Detroit.